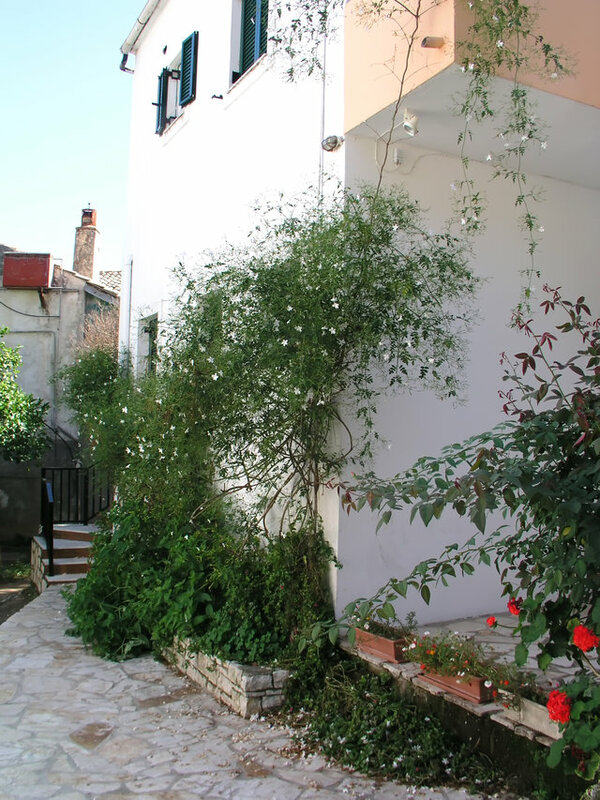 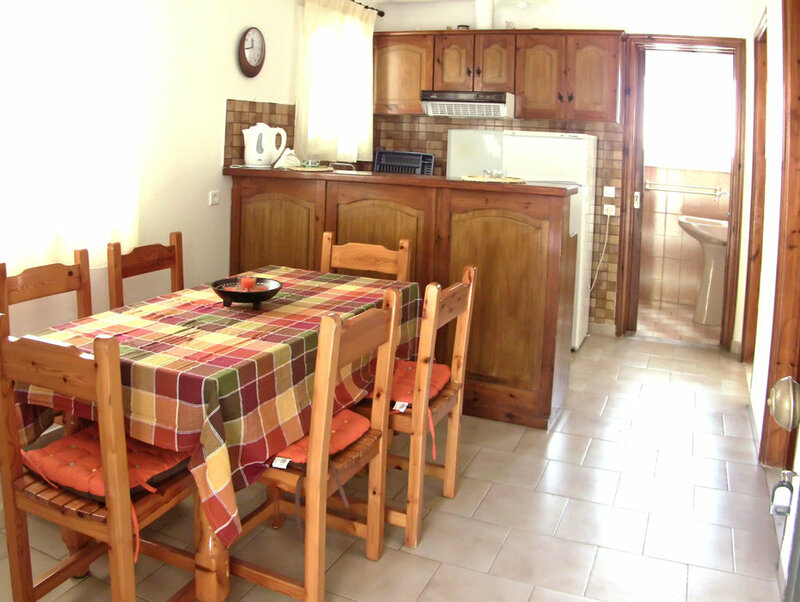 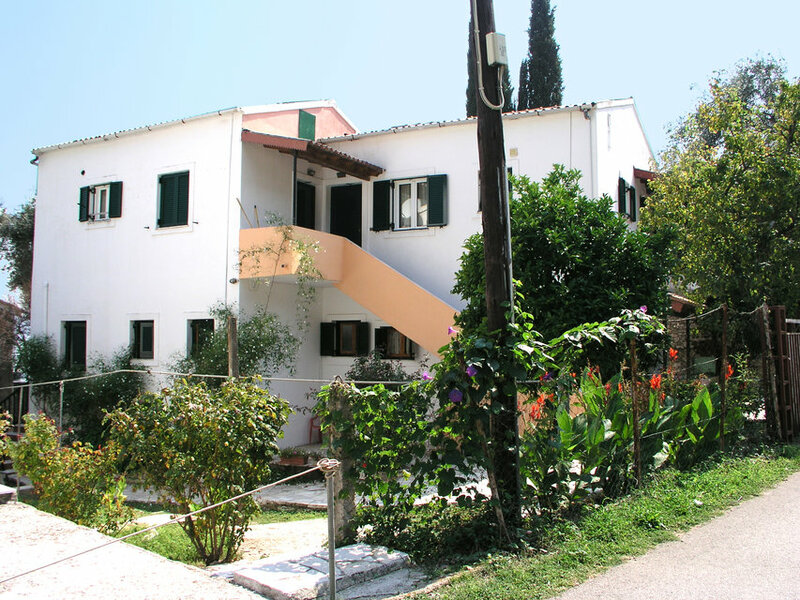 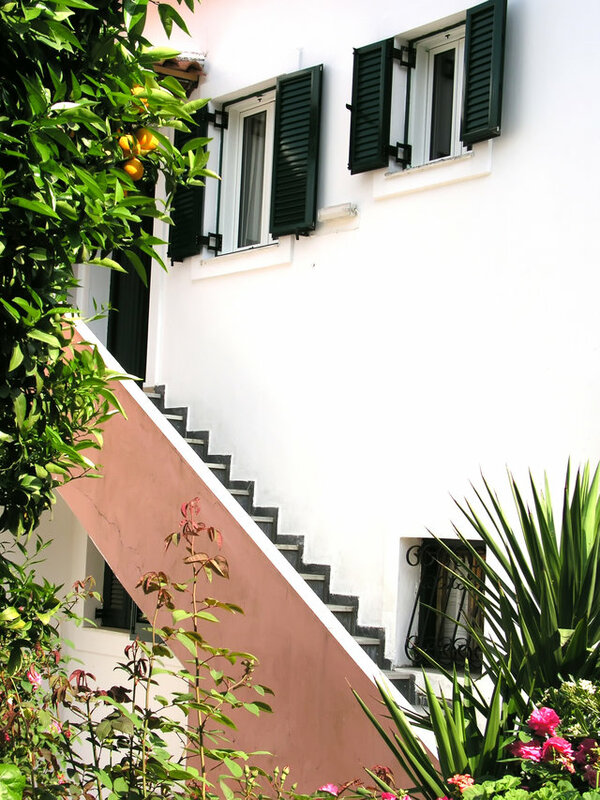 There are four Zoulis apartments in total, two set on the ground level and two upstairs. 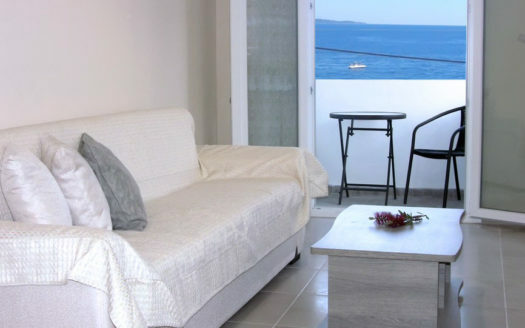 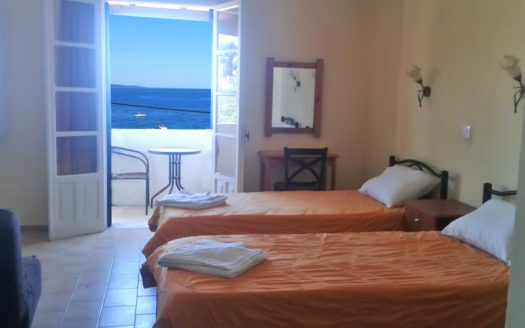 They are located in a peaceful area near the end of Kalami village just a few metres from the beach and all the amenities ( taverna, super market ). 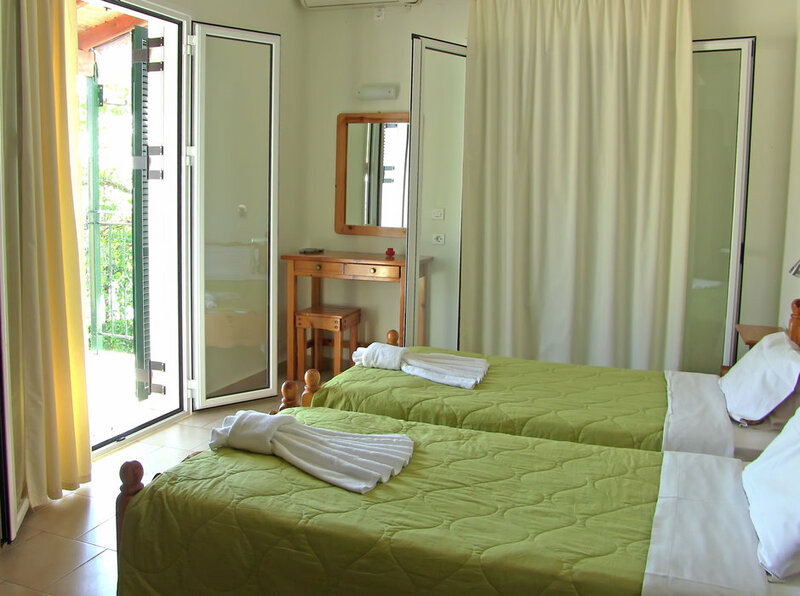 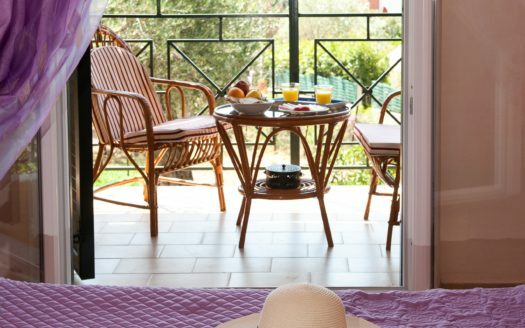 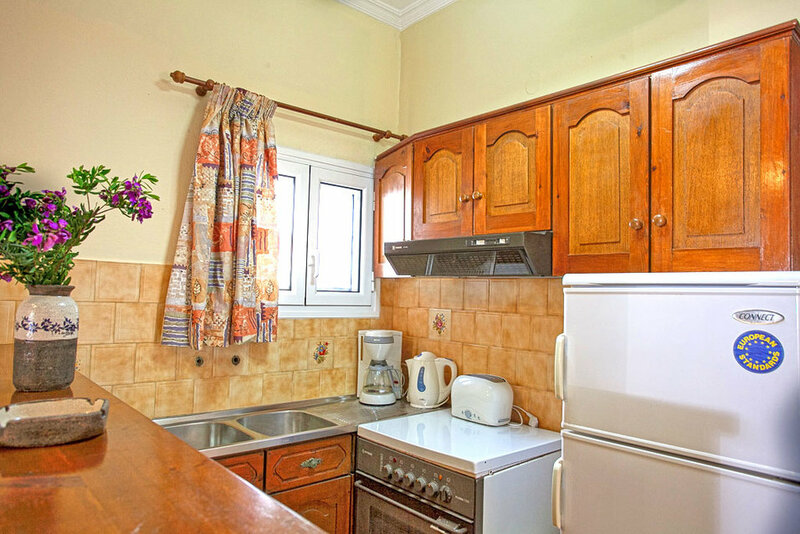 Each apartment has two twin air conditioned bedrooms, a bathroom shower and a fully equipped kitchen adjoining the dining area.The French doors in each bedroom open onto the balcony.